One of the main differences between traders and investors is that a trader plays both sides of the market whereas an investor is primarily long only. You see, finding stocks to short often times offers the best opportunities. From time to time we see parabolic moves in stocks sometimes entire sectors. We’ve seen it over the years in sectors like: marijuana, 3-D printing, renewable energy, and most recently in blockchain and cryptocurrencies. Traders look for opportunities to take stocks long and short. When certain stocks overheat they could make for a good candidate as a stock to short. Now, in order to sell a stock short you need to borrow/locate shares. Where do these borrowed shares come from? Usually your broker will lend you shares if their other customers own the shares. Since you are borrowing the shares, you need to meet specific margin requirements. Under Regulation-T, you must have 150% of the value of the short sale at the time the sale is initiated. If you short 1,000 shares of a stock at $5, the value of the short sale is $5,000, the total margin requirement is $7,500 after adding an additional 50% to the value of the short sale. Certain stocks are not available to short. For example, brokers create a daily hard-to-borrow list, this contains a list of stocks that are unavailable for borrowing for short sale transactions. In addition, the easy-to-borrow list is compromised of names that are easy to borrow for short sale transactions. There are also rules that apply to shorting stocks. In February 2010, the SEC adopted a new short sale price test restriction. It is designed to restrict short selling from further driving down the price of a stock that has dropped more than 10% in one day compared to the closing price on the previous day. This is also referred to as the alternative uptick rule. For years Enron was able to hide billions of dollars in debt, but it all came falling down energy company. Eventually becoming one of the largest bankruptcies in U.S. History. Enron was cooking the books hard for years. Its stock traded as high as $90 in mid-2000, only to collapse to under a $1 per share in the winter of 2001. One man who was early to question Enron’s accounting practices and financial results was Jim Chanos, a hedge fund manager who made a fortune short selling Enron’s stock . Part of his reasoning for the short was that he believed the firm was using aggressive accounting practices along with them being unethical. More recently, short-seller, Citron Research, alleged in a report that Valeant Pharmaceuticals was the “pharmaceutical Enron” and suggested it as a potential stock to short. In August of 2015, shares of Valeant were trading as high as $260 per share. Citron’s research report on the stock was made public in October of 2015. In the report, they alleged that Valeant was using a network of specialty mail-order pharmacies that the company controls. This allegedly allowed them to to prop up sales of its drugs and keep patients and insurance companies from switching to a cheaper generic alternative. The stock continued to plummet and has yet to fully recover, reaching levels below $10 a share in 2018. Technical. Day traders will often short a stock based on a technical reasoning. This could be based on their analysis in price action, volume, and some type of support and resistance. Event Driven. A short report like one issued by Citron Research can be a negative catalyst and push shares of the mentioned stock lower. That said, breaking news can sometimes cause dramatic moves in stock prices. For example, CBL & Associates Properties, saw its shares plummet by more than 25% in one single day after the firm announced its 3Q earnings in November of 2017. The REIT, mentioned that it was cutting its dividend, which added to the selling pressure. Fundamental: For the most part, this is what Wall Street analysts focus on before they issue out a recommendation. However, successful short-sellers like Jim Chanos and David Einhorn are known for digging deep into annual earnings reports, and sifting for potential red-flags by examining SEC filings. This information is readily available and free to the public. For example, all you have to do is visit the U.S. Securities And Exchange Commission’s website. Simply search EDGAR for Company Filings. The type categories you’ll find include: financial reports, news, proxies, ownership, prospectuses and registrations, and other. 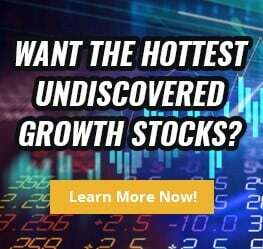 finviz.com is a stock website that is best known for its stock screener. The screener allows you to filter by financial, fundamental, and technical criteria. Whenever you sell a stock short you have a margin responsibility. Whenever you trade on margin there is the potential to lose more than what you have in your trading account. Imagine being short 1000 shares of a biotech stock at $10, and the next day it gaps up 30 points after it got FDA approval for a key pipeline drug. Now, if your account only had $25K, that move would have blown out the account and you’d end up having to add more money to make up the additional capital lost. What type of situations should you avoid when short selling a stock? An earnings event. For many stocks, they experience their greatest volatility after the earnings report release. Stocks with high short interest. Stocks that are heavily shorted have high short interest ratios. If you a short a stock that has a high number of shorts and that stock receives a positive catalyst, it could cause a squeeze as shorts try to cover and new buyers try to enter the stock. Low Market Cap. Small cap and micro cap stocks are volatile. They can have huge swings when news on them is released. In addition, given their size, they are potential targets of M&A. A savvy way to short stocks without as much risk exposure is through the options market. Buying a put option limits your risk to the premium you spent but also allows you the benefit to profit if the underlying stock price declines. Shorting stocks overnight is probably too risky for most folks. However, worth exploring if you are looking at intraday opportunities. For those interested in shorting for a multi-day period, consider learning about how options and volatility work.